The Maine School Administrative District 1 board may ask voters this November to approve a bond proposal that would aim to reduce the district's building costs by moving grades pre-K-8 to the current middle school. 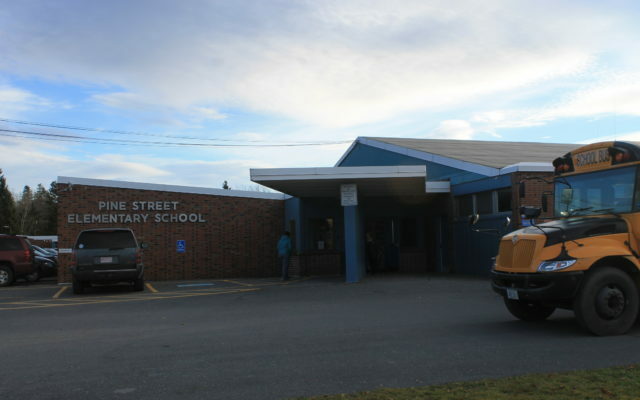 PRESQUE ISLE, Maine — The Maine School Administrative District 1 board may ask voters this November to approve a bond proposal that would aim to reduce the district’s building costs by moving grades pre-K-8 to the current middle school. MSAD 1 assistant superintendent Clint Deschene said he and the district’s consultant, Oak Point Associates, are spending the next few weeks creating a building and cost analysis to bring to the board and the public at the Sept. 19 board meeting. For more than a year, the board has been discussing options for “right-sizing” the district’s four Presque Isle schools, as enrollment has dwindled and maintenance costs loom over aging buildings like Pine Street Elementary, which is in need of multi-million roof repairs, Deschene said. At its August meeting, the MSAD 1 board agreed on a preferred right-sizing model of converting the current Skyway Middle School into a pre-K-8 school, while closing Pine Street and Zippel elementary schools and leaving the high school as is. The board tasked Deschene and the consultants with developing a building site and financial analysis for that model with a budget in the “$15 million range,” according to the assistant superintendent. At its Sept. 19 meeting, the board could vote to endorse that model and ask district residents to vote on a bond package to pay for it during the Nov. 6 elections. The analysis will include impacts to local property tax rates, and there would be public hearings before any vote, Deschene said. The board’s interest in pursuing a consolidation of grades pre-K to 8 at the current middle school is based on a few factors, he said. For one thing, teachers and parents at previous public meetings expressed concerns about the idea of 6-12 school, with middle schoolers in the same building as older teenagers in high school. And the district’s application for state construction funding ranked Presque Isle High School as 21st in the state in terms of overall need. That’s high enough on the list that the high school stands a good chance to qualify for state funding — but likely not until or after the late 2020s, Deschene said. Deschene said the district administration and board have been trying to find a way to position MSAD 1 to operate more efficiently over the long-term and believe right-sizing is the right plan to pursue. “The large turnout this November would be the right time to bring this to the community to see if the community is ready,” Deschene said. “If we don’t do anything, next year we’ll have to come up with $5 million or bond $5 million,” he said, referring to the needs of Pine Street and Zippel Elementary, which were built in the 1950s. Pine Street’s roof, for instance, has exceeded its expected lifespan and a replacement could cost more than $3 million, Deschene estimated.